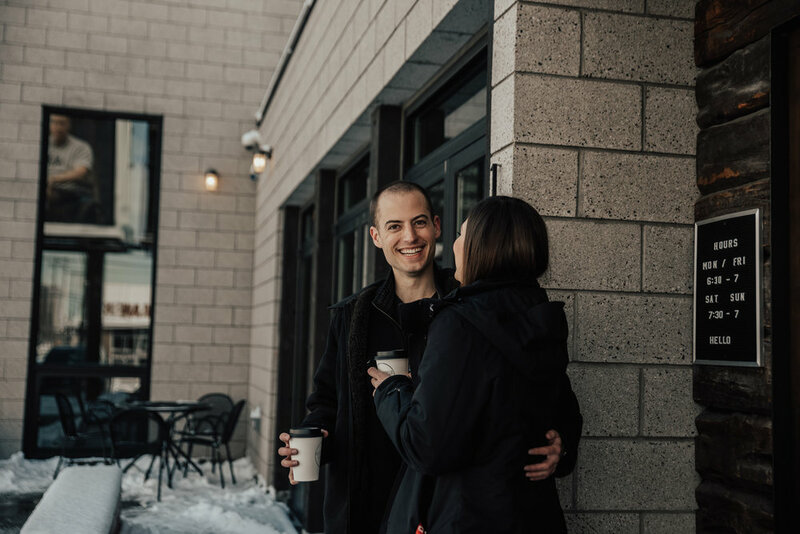 Madi & Mike Featuring Blue Copper Coffee in Salt Lake City, UT. You know what I like? When couples like a unique photo session. I'm not saying unique like rock climbing in a crazy dress, I'm saying it's unique to them as a couple. After all, isn't the point to show your love as a couple? 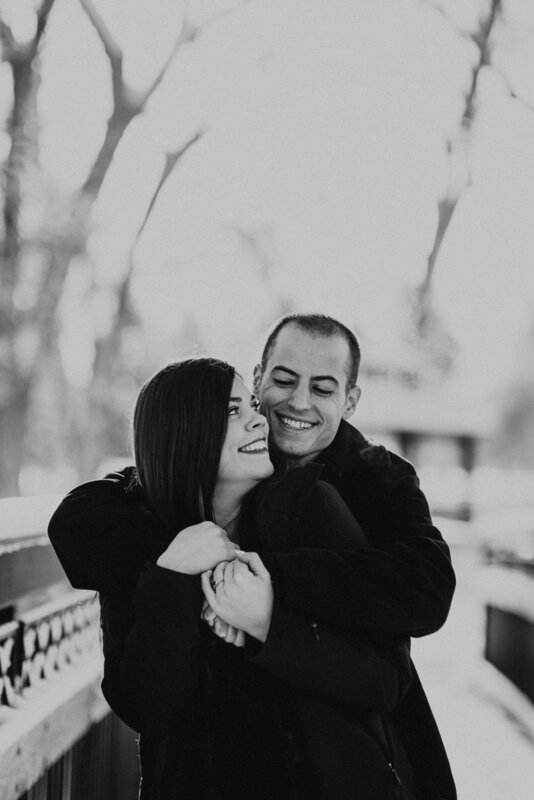 I loved this session because we started out in Liberty Park where they often came to hang out. 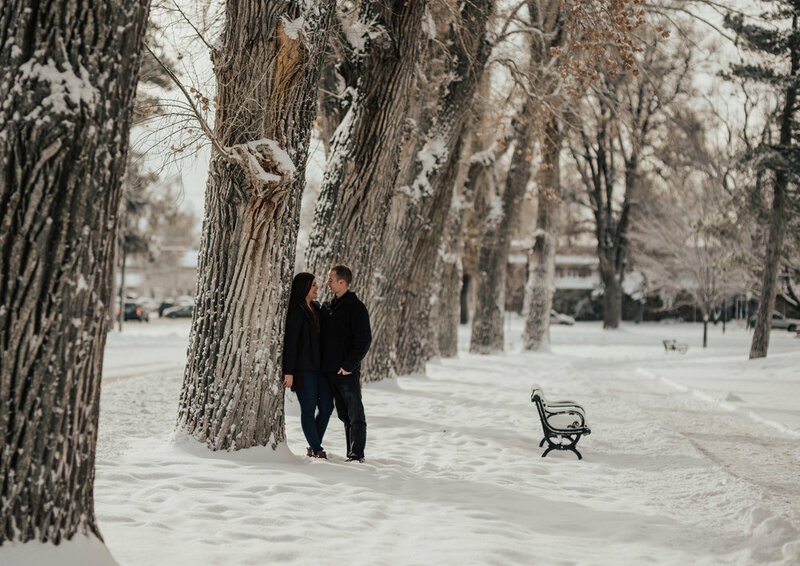 It was a beautiful winter wonderland and after we decided that we had enough good stuff outside they wanted to go to one of their favorite local coffee shops where they used to go on lots of dates! Little did I know it was super cute and quaint :) Busy too! Here's a tip for unknown places to shoot at : GO with the FLOW! Who cares if people stare at you or your couple. They are interested and excited. We had literally one table in a squished coffee shop but hey we made it work. Photographers, find different angles, look through a window, do a top view, as the barista if you can go behind the counter, etc. You can make it work. Enough about that... 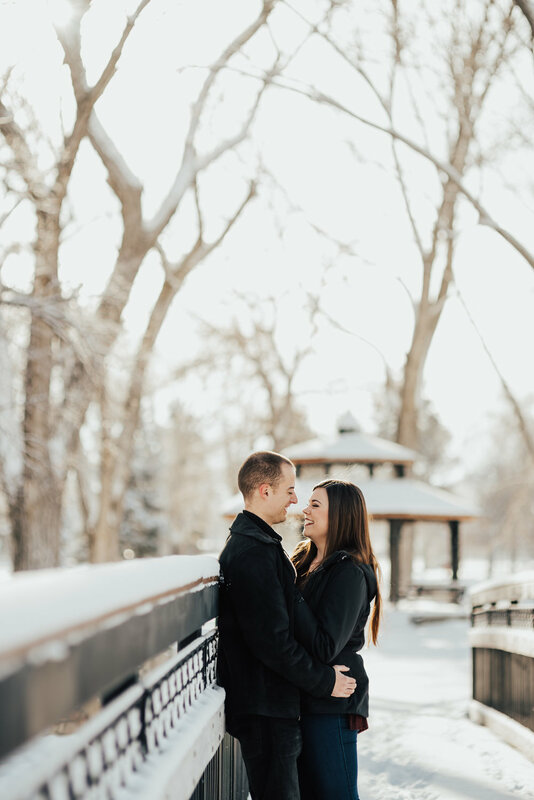 Enjoy this super fun winter engagement session, unique to Madi & Mike.